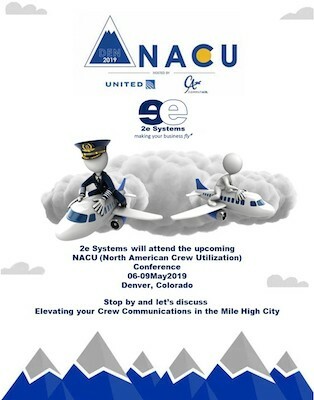 2e Systems will attend the Spring NACU (North American Crew Utilization) Conference from 06. - 09. May 2019 in Denver, CO. The conference is focused on Crew Scheduling, Planning and Technology, and is hosted this year by United Airlines and CommutAir. Please visit our 2e Systems CEO Phil Douglas and Account Manager James Stramel in the Exhibition Area. We are looking forward to demonstrate and discuss our Crew Scheduling and Communication product - eeCrewConnect® - and also introduce you to the new features which are now included. 2e Systems is already looking forward attending HackerX in Frankfurt. HackerX is the world’s largest invite-only networking & recruiting event for developers in 50+ cities globally and has a community of over 50,000+ members. The event is organized in rapid speed-dating format (5 minutes each) to keep things engaging and fun. A fantastic opportunity to meet and connect with new talents. 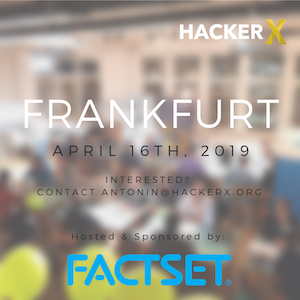 Please come and meet our team at the HackerX recruitment event on the 16th of April in Frankfurt. 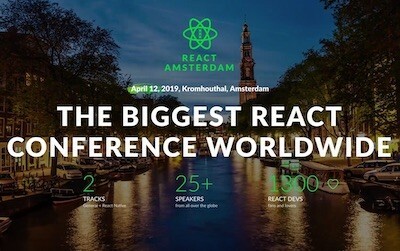 2e Systems will attend the biggest React conference worldwide in the beautiful city of Amsterdam from 10.-12. April. Our 2e Systems developer team can’t wait to have a great time with lots of networking and information sharing and looking forward to the after party and especially the custom brew of beer made in collaboration with the Dutch brewery Brouwerij de Prael and React Amsterdam. 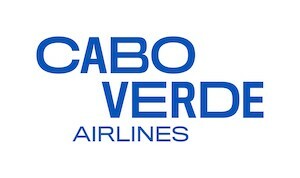 2e Systems is pleased to announce the launch of its most recent customer, Cabo Verde Airlines in February 2019. A truly collaborative achievement, 2e Systems, Cabo Verde Airlines, Origo and Icelandair representatives worked together to simultaneously launch 3 new products: an online flight shopping and booking engine, online check-in and multi-channel passenger notifications. The fresh and modern solution allows the airline to offer and configure merchandising products such as chargeable seats, extra baggage and special baggage and can be extended to include new ancillary products. The airline now has improved control and competitiveness with 2e Systems' dynamic WebFares functionality - discounted airfares which can be easily and immediately released to the market for effective promotions and campaigns. Vilhjálmur Þór Bjarnason, Project Manager Information Technology, said "We at Cabo Verde Airlines are delighted with our collaboration with 2e Systems. After Icelandair’s recent acquisition Cabo Verde Airlines is moving forward with a new business model that consists of hub and spoke distribution model instead of the former point to point operation. This means we need a powerful online booking engine, online check-in and omni channel notification system for our envisioned service and efficiency. 2e Systems have delivered a state of the art system that runs on top of our older legacy system and will support future growth for our airline." Tracey Shaw, CCO and Deputy CEO of 2e Systems commented "It was a pleasure to work with such a professional and committed team and 2e Systems is delighted that Cabo Verde Airlines entrusted us with this important project." Cabo Verde Airline links Brazil, Africa, Europe, the USA via the beautiful Cabo Verde islands as the hub. Fun fact: the entire working team consisted of 19 different nationalities. 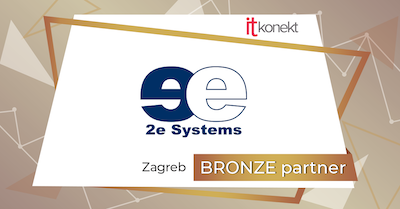 2e Systems is proud to be a sponsor for the upcoming ITkonekt job fair in Zagreb. We are always happy and interested in connecting with new talents.